The first single from the upcoming album, Babylon Nightmare, with Lustre Kings. The album drops December. Referred to by the Village Voice as "the authentic connection between Reggae and Hip Hop", Jah Dan is actually much more. Jahdan Blackamoore has created his own wholly unique path to success. He is at once unclassifiable and exists within a genre all his own. Born in Guyana, Jahdan Blakkamoore moved to Brooklyn, NYC as a teenager and quickly immersed himself in the best music the city had to offer. As he matured, hip-hop heads came to know Jahdan for his lyrical collaborations with DJ Premier, Afu Ra, Boot Camp Click and Dead Prez. Reggae and Roots fans began to know him from his band, Noble Society, collaborations with Lutan Fyah and Norris Man or his recent collaboration (co-written by Lustre King’s Andrew ‘Moon’ Bain) with Diplo and Switch on their Major Lazer project. Teaming up again with Andrew 'Moon' Bain (Digital Ancient), Jahdan has crafted his testimonial masterpiece with Babylon Nightmare. 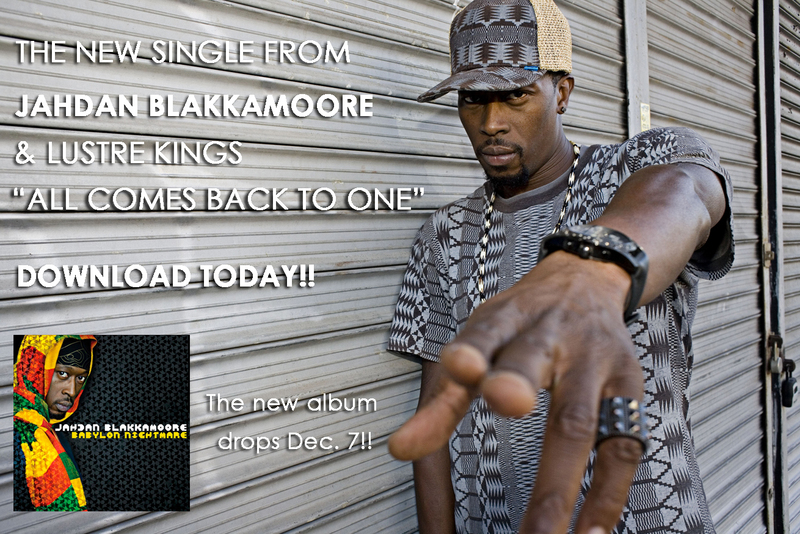 After winning the iTunes Best Reggae Album award in 2008 for Take Charge, a record released with his New York City-based reggae band Noble Society, and then again in 2009 for Buzzrock Warrior, a collaboration with electronic beat pioneers Matt Shadetek and DJ/rupture of Dutty Artz', Jahdan Blakkamoore and the critically acclaimed Lustre Kings label are now looking for Jahdan's third consecutive Best Reggae Album with Babylon Nightmare, set to release December 7, 2010. As if his past achievements weren't enough to worry aspiring challengers, Jahdan fully intends to hold onto his crown with what he refers to as "my finest work to date". 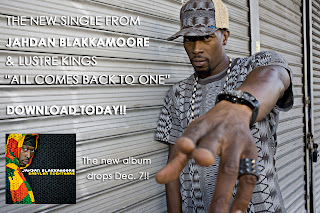 Download songs from Jahdan Blakkamoore here .